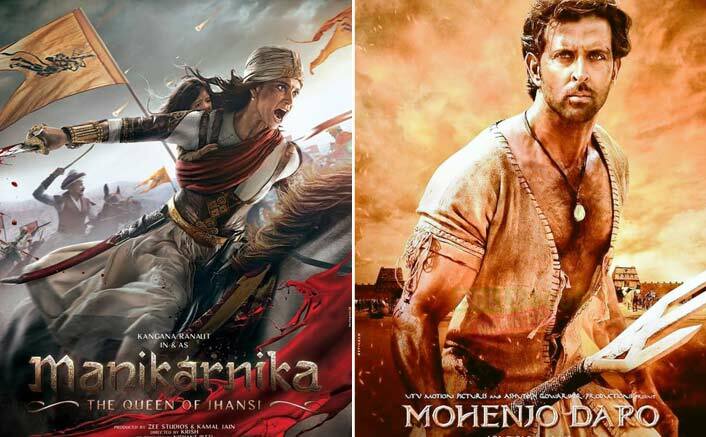 Home » Bollywood News » Kangana Ranaut’s Manikarnika & Hrithik Roshan’s Mohenjo Daro Has A SAME Dialogue! What caught our attention is the trailer of the film ends with an exact same dialogue from Hrithik Roshan’s Mohenjo Daro. Manikarnika trailer was out a few while ago and is receiving a positive response from all ends. Starring Kangana Ranaut, the film is based on the life of Rani Laxmi Bai. What caught our attention is the trailer of the film ends with an exact same dialogue from Hrithik Roshan’s Mohenjo Daro. Manikarnika Trailer OUT: Extraordinary Kangana Ranaut Brightens Up This Visual Spectacle! We all know this is just a mere coincidence but just for those who might be thinking where they’ve heard the end-dialogue. It’s from Mohenjo Daro. Manikarnika is about a ferocious warrior, a beloved queen, and a loving mother – Rani Laxmi Bai was an epitome of a courage, bravery and sacrifice. And here’s a glimpse into her extra ordinary life that will make the whole country proud. Manikarnika is also the 7th Indian film to have a IMAX release. The IMAX release of Manikarnika: The Queen Of Jhansi will be digitally re-mastered into the image and sound quality of The IMAX Experience® with proprietary IMAX DMR® (Digital Re-mastering) technology. The crystal-clear images, coupled with IMAX’s customized theatre geometry and powerful digital audio, create a unique environment that will make audiences feel as if they are in the movie. Produced by Zee Studios and Kamal Jain, Manikarnika – The Queen Of Jhansi will release on 25th January 2019. The film will also be releasing in Tamil and Telugu.